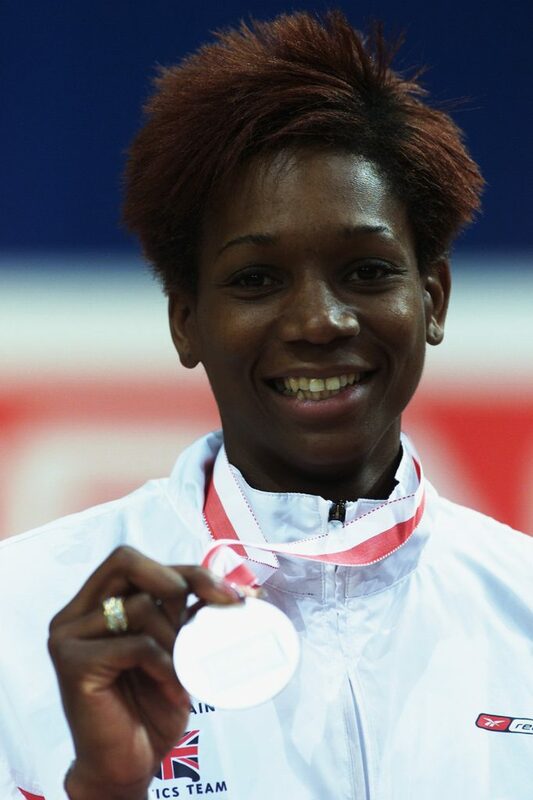 Ashia Hansen, Great Britain’s best-ever female triple jumper, may have European and Commonwealth titles in her cabinet but it was indoors where she truly stamped her dominance. 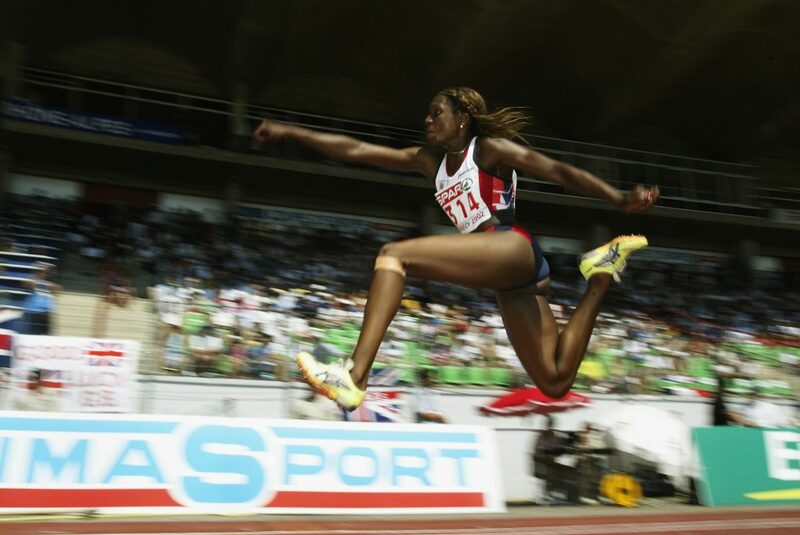 Born in America, Hansen was adopted at three months old and subsequently raised in east London where she began to show preternatural talent for athletics, eventually specialising in the triple jump. While she took some convincing to dedicate herself fully to her sport before turning professional at 24, she quickly made it her mission to make up for lost time – and succeeded emphatically. It didn’t take long before she was breaking records and winning international titles, becoming one of Great Britain’s most decorated jumpers in the process. By the time the European Athletics Indoor Championships came to Valencia in 1998, Hansen was desperate to chalk up her first major international title. An agonising fourth place at the Atlanta Olympics two years earlier and a silver medal at the world indoors in Paris in 1997 were proof that she was getting closer to her goal. But her performance on that February night on the Balearic coast went above and beyond what was expected, even what was required. An indoor world record leap of 15.16m blew her competition out of the water, beating 1997 world champion Sarka Kasparkova by 40cm, and leaping half a metre further than her next best rival. It was a record that stood for six years and remains the furthest that a British woman has jumped indoors, but more importantly it heralded an era of unprecedented indoor dominance for Hansen. Next on the agenda for Hansen was the 1998 Commonwealth Games in Kuala Lumpur in what would be her debut appearance at the championships. 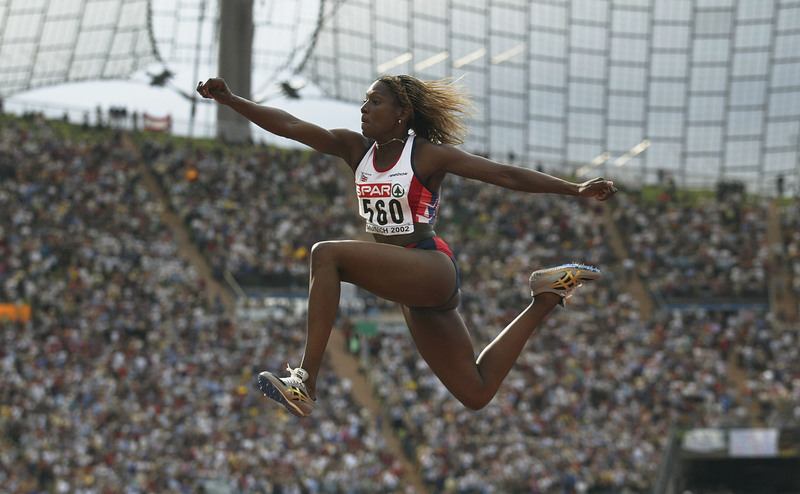 And they would quickly become a happy hunting ground for the then 25-year-old as she once again left her challengers trailing in the sand, breaking the championship record with a jump of 14.32m. She arrived the world indoors in Japan the following year, therefore, as sure-fire favourite, looking to make it three golds on the spin at major competitions. Once more Hansen delivered, leaping 15.02m to top the podium again; while the four athletes below her all recording either national records or personal bests, none could match the Londoner. A disappointing Sydney Olympics saw Hansen finish down in 11th having only managed a jump of 13.44m, and a seventh at the worlds in 2001 again proved a sub-par showing. But it was a mere blip for the podium-hungry Hansen, as she marked her return to the medals with silver at the European indoors in Vienna before heading to her home Commonwealth Games in Manchester. A leap of 14.86m ensured that she retained her title, but Hansen was far from done. She cleared the 15m mark twice on the bounce to take golds at the 2002 Europeans and 2003 world indoors, and in the process truly enshrining her name in the record books.